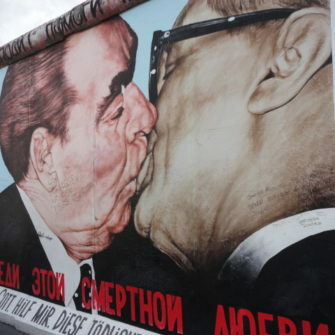 I loved Berlin when I visited earlier this month. 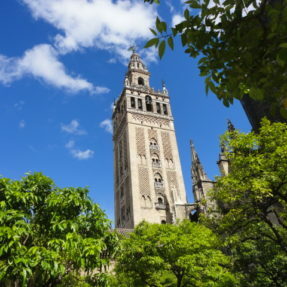 Ideally you should spend at least 3 days in this city as there is so much to see, but if you have just a day, here are 10 attractions you must visit. This was the point where people crossed over from the east into the west and vice versa. 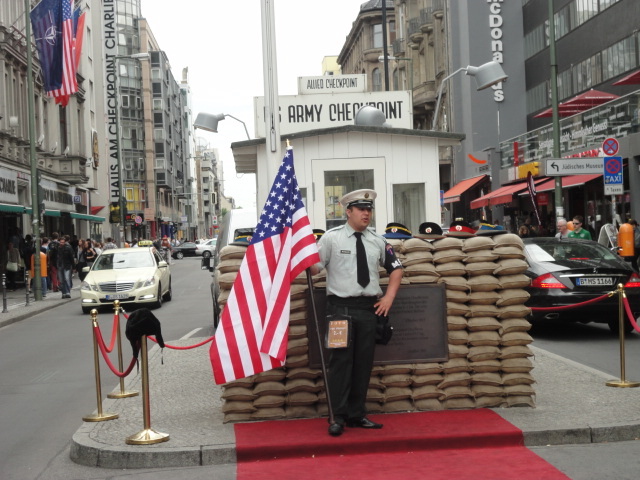 Now there is a replica of the check point Charlie booth and for 2 euros you can have your photo taken with an “American” soldier. It is quite touristy but on the other side of the wall is information about the history of the wall which is very interesting. 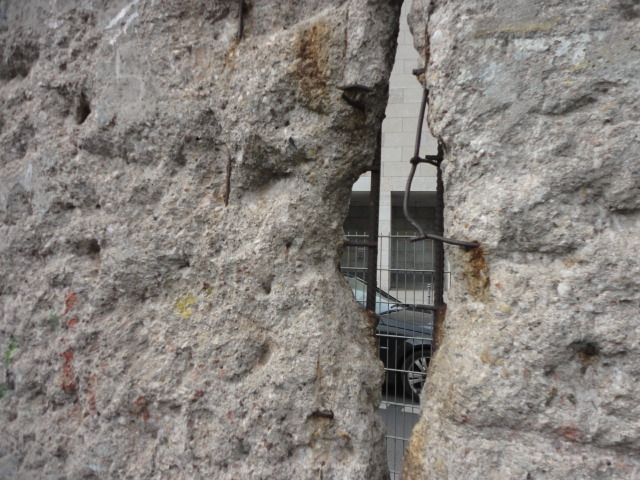 The wall that divided east and west Berlin was 149 km long and several metres deep (on the east Germany side). 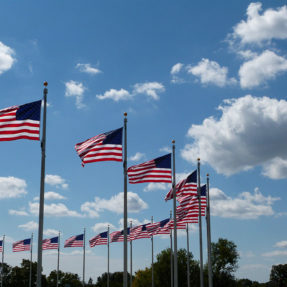 It was put up in the middle of the night on August 13th 1961 to prevent people from escaping to a better life in the west. The Government wanted to stop the “Brain Drain” but with the money they invested in preventing people moving to the west they could have used to help the eastern economy. 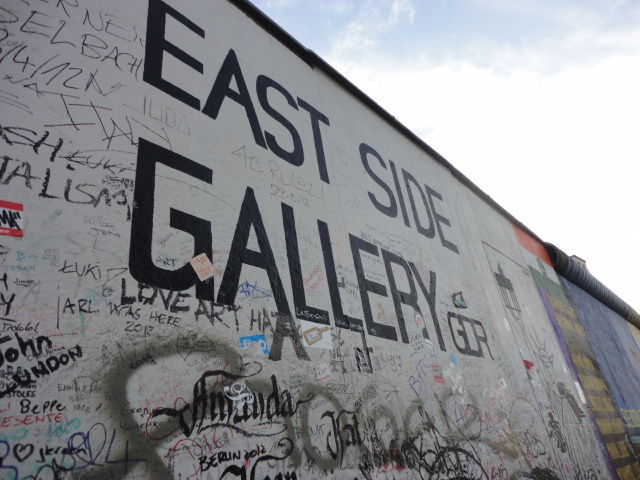 There are still parts of the Berlin wall left in the city, it is hard to imagine how life was like back then, but there is plenty of information by check point Charlie to remind you. 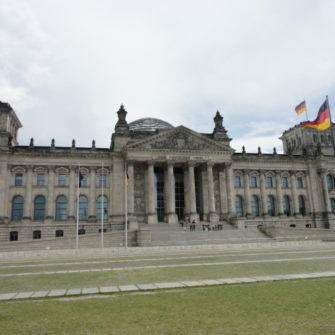 You will need to reserve your ticket online before you will be allowed to enter the German Parliament. 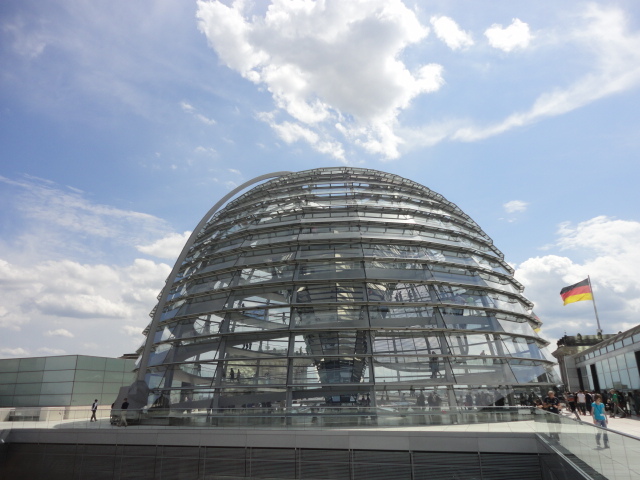 A couple of years ago you were able to just wait in line and walk in, but now due to security, you will need to “book” your place for a date and time you want to enter the Reichstag. Make sure you do this at least 3 days before you arrive in Berlin. 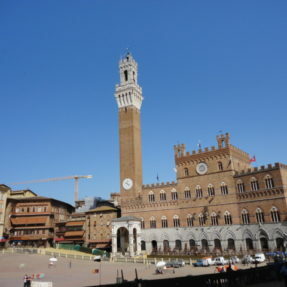 The “French Square” as it is sometimes referred to is one of the most beautiful squares in Europe. On each side is the square is a the German cathedral and the French cathedral (Deutscher und Französischer Dom). In the winter, there is a wonderful Christmas market in the square selling traditional German food and beer and wine and in the summer, there are outdoor concerts. 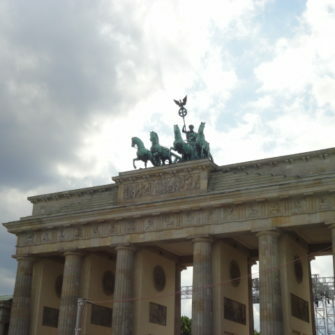 The gate is the symbol of Germany and is the place where many Germans gather for important celebrations such as New Year’s Eve, National football matches and of course was the location where people were walking on the wall when the wall was being torn down. 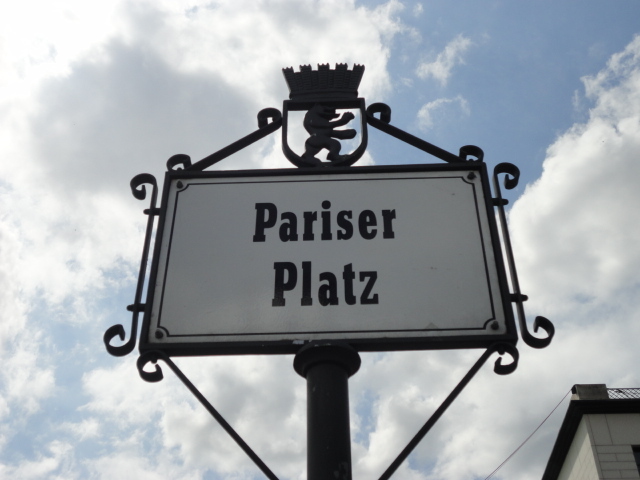 Paris Platz is now home to exclusive hotels, the Art Academy, the French and US embassy as well as numerous cafes and restaurants. 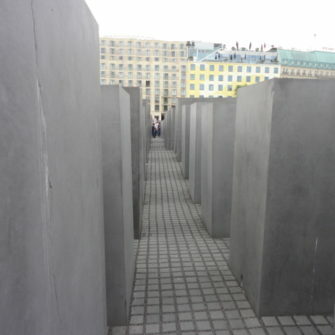 The memorial is made of 2,711 concrete blocks to remember the 6 million German Jews who were killed in WWII. 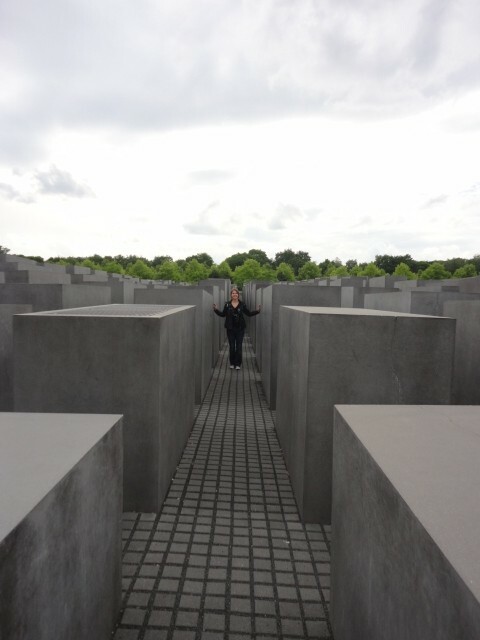 Peter Eisenman built and designed the memorial which has no markings, just an information centre. It is open every day until 8pm except Mondays when it is closed. It is free to enter. The University in the centre of Berlin where many famous scholars and scientists such as Albert Einstein worked. Outside of the uni, students sell books. This is to pay back the 20,000 books they burnt back in the socialist era. There is also a memorial next to the Opera house which is underneath the square in front of the Humboldt University to symbolize the books that were burnt. 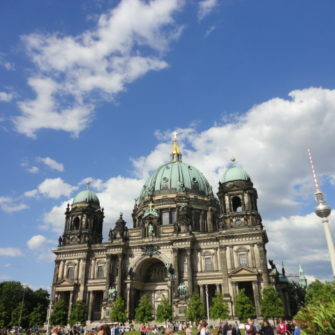 Located in the central Mitte district in Berlin, this island is home to 5 museums, all part of the Berlin State Museums and all UNESCO World Heritage Sites. A day ticket to all 5 costs 19 euros which is a good deal considering it is 10 euros for each museum. At 368 metres tall this was the symbol of Communist power at the heart of Berlin, located in Alexanderplatz. The tower is taller than the Eiffel Tower and visitors can also dine in the revolving restaurant at the top. Below the restaurant is the viewing platform, but be prepared to wait and pay 11.50 euros to enter. 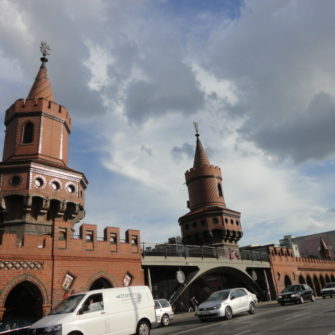 Berlin is rich in history and culture and is one of the top destinations in Germany. There are many hostels and hotels in the center at a reasonable price. As I was travelling by myself, it stayed in a hostel as a way of meeting other people.